During this start-up phase of our company, we have been very fortunate to attract a strong team of accomplished professionals, who are enthusiastically contributing their talents. They have a committed team spirit and a bonding sense of common ownership in a project that has been both challenging and rewarding. 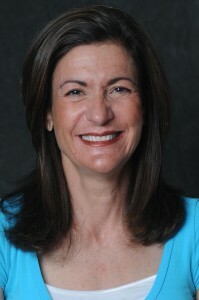 Kathy W. Dean – Founder and Chief Executive Officer. Shortly after graduating from college, Mrs. Dean founded and managed Impact Recruiting, Inc., a successful staffing firm in New York City, where she personally developed and serviced recruiting needs for numerous Fortune 500 companies, such as Philip Morris, Morgan Stanley, American Express, Bear Stearns and Salomon Bros. She remained at Impact Recruiting for 15 years before leaving New York to move to Boulder with her family. She holds a B.A. degree from the State University of New York at Oneonta. Edwin Dean - Founder and Chairman, Chief Financial Officer, General Counsel, Secretary and Treasurer. Since arriving in Boulder in 1997, Mr. Dean has served as strategic advisor to Telomerase Activation Sciences, Inc., a New York based development stage biotech business. 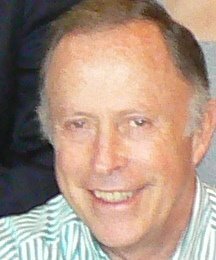 From 1986 to 1997 Mr. Dean was the Vice Chairman, General Counsel, and Secretary of Danskin, Inc., a publicly held manufacturer and marketer of women’s activewear and hosiery which he and partners had purchased through a leveraged buyout. Prior to 1986, he had been the Senior Vice President and Manager of the Government Bond Department of Paine Webber, Inc. (now UBS Securities, Inc.) following other Wall Street positions and seven years of law practice in New York. He is a graduate of Yale University and Harvard Law School. Erika Rae Archer - Candidate Sourcer - Talent Sourcer and Resume Writer with a solid background in Human Resources and professional development. She is the founding editor of 2CupsofCopy.com, which provides resume services, as well as professional writing and social media services, to businesses and individuals. She has started several companies, including a social lending company and an ISP. 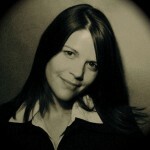 She is also nonfiction editor at TheNervousBreakdown.com and cofounder of Scree Magazine. She earned her MA from The University of Hong Kong in Literature and Linguistics. Marcella Baldwin – Accounting Manager. 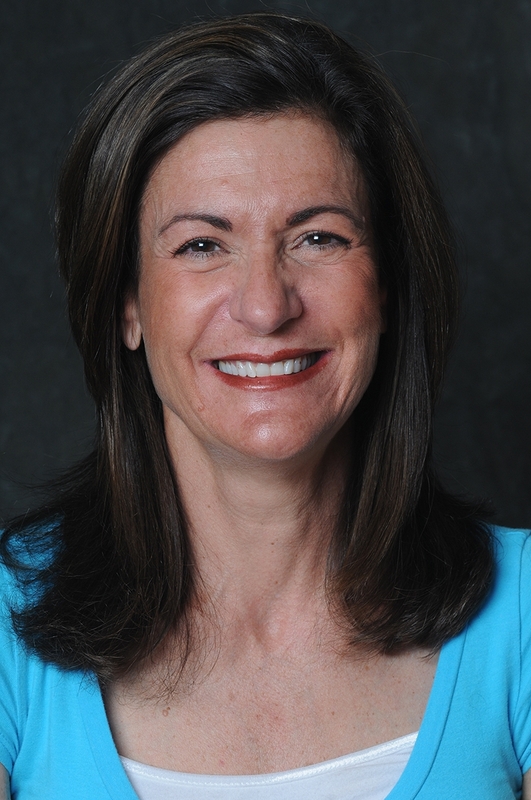 Marcella Baldwin is President of The Baldwin Group, Inc, an accounting and tax preparation firm in Boulder. Her clients include commercial real estate brokers, mortgage lending brokers, outdoor sales representatives, engineering consultants, general contractors, and private individuals. Additionally, Marcella has been the Office Manager for Colorado Choice Builders, Inc., general contractors, since 1997. She worked as sales administrator for BI Incorporated and has banking experience from her employment with United Bank of Boulder, now, Wells Fargo Bank. She lives in Boulder with her husband and two children. Nini Coleman - Artist / Graphic Designer. Nini works closely with creative individuals and businesses; designing websites, logos and promotional materials. Technology is her art. Beyond her digital canvas, she is a jeweler and a dancer (currently a member of the dance company 40 Women Over 40). In addition, she volunteers her time working closely with many non-profits. Jayson T. Cote - Web Developer and Marketing Advisor. An innovative entrepreneur, educator and internet media consultant working with independent small businesses and entrepreneurs to develop and maintain their brand, character and expert recognition on the web. Mr. Cote’s diverse background in internet technologies, group dynamics, interactive education and entrepreneurial success give him unparalleled experience. He possesses an in-depth understanding of people and their company’s vision allowing him to develop and deliver innovative and strategic plans to build businesses. Brenda Cody, M.S. – Co-Director of Coaching. Ms. Cody became a career coach, speaker and trainer in 2002 following a 20+ year career in Corporate America. Ms. Cody holds a B.S. degree in Business Administration (Human Resources) and her M.S. degree in Mental Health Counseling. She is affiliated with the Colorado Career Development Association, the Career Management Alliance and in 2007 was voted “Member of the Year” by the Denver Coach Federation. Kathy Dotson – Director of Staffing. Ms. Dotson has been involved in employment recruiting for the past 15 years in managerial positions, most recently as Senior Technical Recruiter for Sun Microsystems in Fort Collins. She was with Adecco for eight years, ascending to the role of National Account Director with responsibility for major accounts. She began her career in 1993 as a staffing supervisor with Staffmark/On Call Staffing Services after graduating from the University of Iowa with a B.S. degree in Business Administration – Marketing. Tom Hall – Software Developer. Mr. Hall is an electrical engineer with over 30 years of software and diagnostics experience with large companies, including staff and project management. 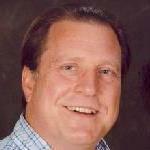 He is currently Senior Operations Software Engineer for Dot Hill Corporation in Longmont, CO. He holds a BSEE from Michigan State University. 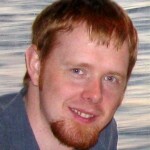 Erik Hallqvist – Software Developer. Mr. Hallqvist is a 2006 graduate of the University of Wyoming with a B.S. degree in computer science. He is currently the quality assurance analyst for SparkFun Electronics in Boulder. In addition, he owns and develops two internet businesses: Frozen Glory (a multiplayer browser game) and Pre-K-Projects, a resource for teachers. Meg Hendricks – Director of Business Development. Ms. Hendricks is a consultant who assists companies and organizations with business analysis related to renewable energy markets, including a recent series of projects for the National Renewable Energy Laboratory in the intersection of energy, finance, and international markets. Prior to this, she held research and analysis positions at the University of Denver and the Deutsche Bank Consortium Foundation. She was previously a free trade agreement and human rights analyst at the State of Jalisco Commission on Human Rights in Mexico. Hendricks holds both an International MBA and an M.A. in International Economics from the University of Denver, as well as a B.A. from the University of Puget Sound. Melanie Mulhall– Copywriter. Ms. Mulhall is a freelance writer and editor who makes words sing, dance, and get attention. She is the 2008 First Place and 2009 Third Place EVVY Award winner in the Technical category of Editing. She is also author of the First Place EVVY Award winning book, Living the Dream—A Guidebook for Job Seekers and Career Explorers. She works with entrepreneurs, corporations, and authors in the process of midwifing their dreams. 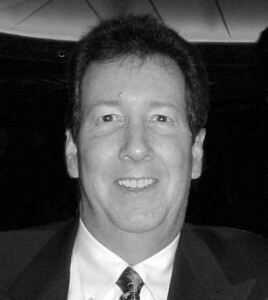 Tony Peccolo - Senior Marketing and Business Development Advisor. Mr. Peccolo is an accomplished sales and marketing executive and serial high-tech intra/entrepreneur. He assists companies and organizations bring new products and services to market, and develops new strategies to “engineer” revenue. Presently, Tony is leading the sales and marketing efforts for a Colorado-based, early-revenue software company. Prior to this, he created and led two “startup” North American sales organizations for Agilent Technologies which identified, developed and closed more than $200 million in business annually. He was previously a director at two software companies and initiated global ecommerce efforts for Hewlett Packard across North America, Asia and Europe. Tony graduated from Cal Poly, Pomona with a bachelor’s degree in Electrical Engineering. He also holds an MBA from the University of Denver, Daniels College of Business. 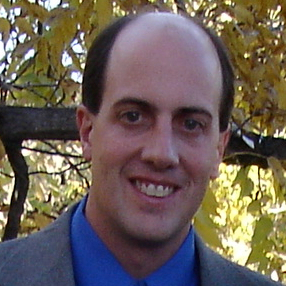 Scott Putnam – Information Technology Project Manager. Mr. Putnam brings over 20 years of project management, business systems analysis and development experience to the TeneoTalent team. Most recently, he was responsible for defining, documenting and prioritizing requirements for two web-based job boards at “onTargetjobs, Inc”. Mr. Putnam has managed projects aimed to streamline existing systems, enhance the speed of information delivery and efficiently deliver technical documentation to engineers. He holds a B.A. from Cornell University (Major in Physics/Chemistry). 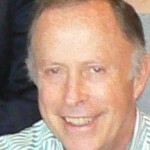 Scott A. Schell – Senior Technical Advisor. Mr. Schell is the Chief Technology Officer and one of the four Founders of GuideSTAR Technologies, Inc., a software company that creates advanced investigative and identify management solutions for law enforcement, government investigative agencies, and large commercial investigative departments. Before that he was the Director of Development & Chief Architect for Acxiom, and the Chief Architect for Avaya, Inc. He began his career in 1992 as a software engineer for StorageTek and then was a senior software engineer for ATT/Lucent Bell Labs, Director of Development & Chief Architect for CallConnect Communications, and VP Development for STS Hotel Net. He holds a B.S. in Computer Science from Colorado State University and a M.S. in Telecommunications from the University of Colorado, Boulder. He is named as an inventor on four issued United States patents and in 2006 was named as employee of the year at Acxiom. Kavitha Sharma– Business Analyst/Researcher. Kavitha graduated from University of Colorado Boulder in 2007 with a B.S. degree in Information Systems. She was working as System Analyst/Programmer in The Trizetto Group. She has two years of work experience in Software Development. Janna Vance – Business and Technology Manager. Janna Vance is an experienced, highly motivated entrepreneur, website designer/manager, consultant and educator. She helps companies define and develop their web presence, find clients and find publicity. She worked for several years for On Assignment where she grew the regional business by building relationships within technical and scientific industries and recruiting scientists, engineers and technicians. She has also held positions in such diverse fields as pharmaceutical science, sales and marketing, retail management, public relations and education. Janna has worked in the field, at an aquarium, in the laboratory, on a boat, in a rain forest, and on the road. Janna holds a B.A. in Biology from the College of Wooster. Leha Warner – Chief Talent Strategist. Leha Warner is a Talent Manager with over 15 years of experience in strategic planning and change management, workforce planning, program management, technology leadership and career development consulting. She had a long career with Electronic Data Systems, a leading global technical services provider, first as a program manager and software engineering manager, then as technical delivery team manager, and finally as Human Resources Consultant for Global Workforce Management. Recently, Ms. Warner was responsible for developing and improving a multi-dimension job role classification system that supported improved business decisions at a lower cost. She holds a M.A. in Psychology from the University of Colorado in Boulder.